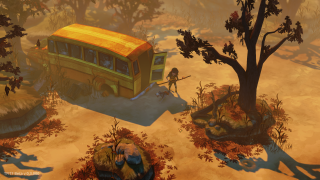 You'd be forgiven for feeling a bit fed up with permadeath survival games, but The Flame in the Flood looks pretty promising. Set in a barren and depressed future America, the protagonist must negotiate a procedurally-generated river in order to survive. There's crafting, angry animals and the nagging requirement to stay healthy. It's all par for the course, except it looks beautiful, and the Early Access community appears to be in love with it. So it's nice that The Flame in the Flood will exit Early Access and become a feature complete game on February 24 (though you can grab the EA version right now if you want). The above trailer demonstrates what it's about. It kinda looks like a more atmospheric Don't Starve, but I'll reserve judgement until its released. Chris Livingston played an early version last year. He seemed to have trouble with the wolves.